The V & J’S Pre School held its annual sports meet under tee patronage of Ms Estelle Freeman on Wednesday 19th March at the Flats in Cole Hill. 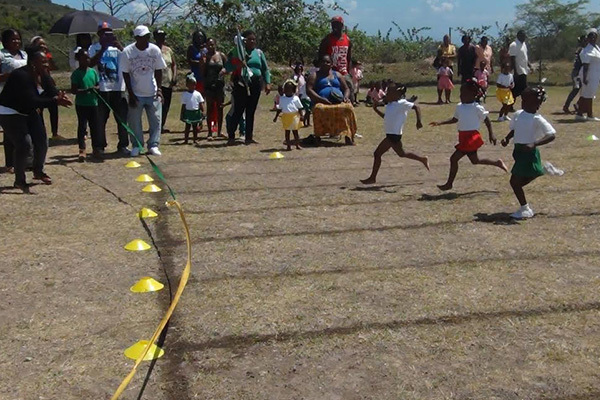 The children competed in flat races; lime and spoon; the bag pack race; dress up race; fill the bottle, among others. The excited parents also competed in the Fathers’ race and the Mothers’ race and the Teachers also had their moment in the sun, with Headmistress, Teacher Viona participating as well.